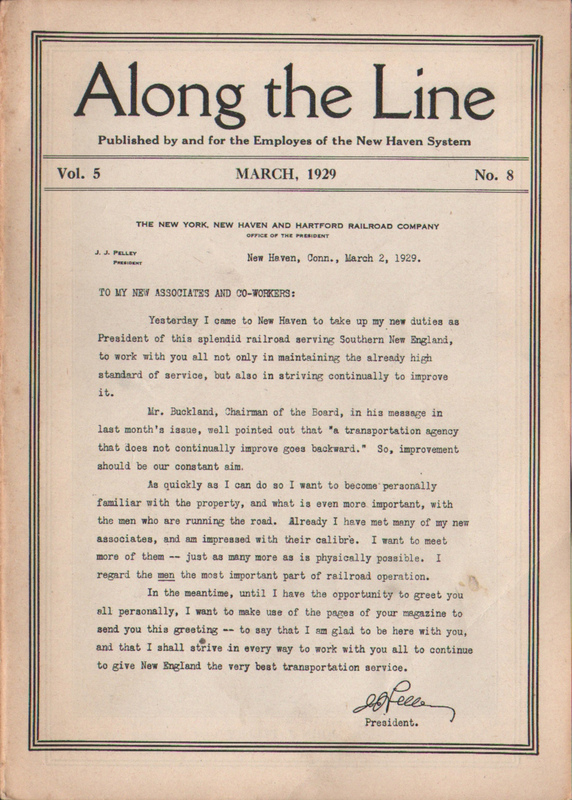 Description New York, New Haven and Hartford Railroad Co. (NYNH&H) March 1929 Along the Line Employee Magazine - A long typewritten letter from the new President of the railroad, John J. Pelley is on the cover. 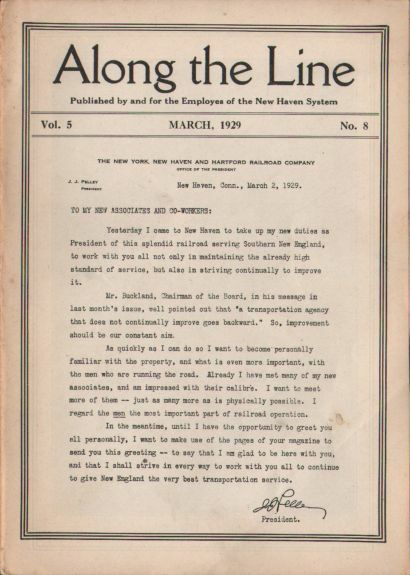 A somewhat diverse issue, there are articles on "The Railroad Navy at Work," "John J. Pelley Elected President," "First Railroad Hospital in Country at New Haven" and "Starting New Bridge, E. Providence, RI." 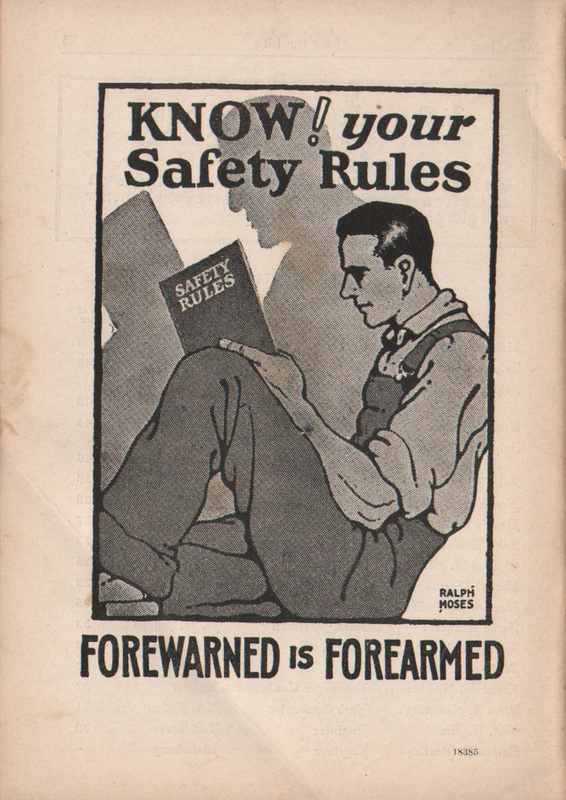 Also has usual employee news from around the system.